*We provide testimonials to help you gain confidence about how we work, please note that results may vary from person to person. Be sure to speak to us at least 48 hours in advance in the unlikely event that you need to reschedule your appointment, as there is a £75 fee for late cancellation and loss of deposit for un-notified non-attendance. 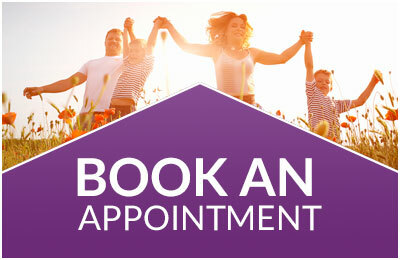 If you arrive more than 10 minutes late and your appointment has to be rescheduled, the late cancellation fee of £75 is payable. After your session, if you have just one puff of any smoking related material e.g. cigarette (tobacco, herbal or cannabis), cigar, pipe, hookah, vaporiser, e-cig or take any nicotine replacement you must report it to this clinic immediately to activate your free back-up guarantee. With hypnosis it is not possible to become a part-time smoker. If it does not work for you, come straight back and we will do something different. If a trauma happens and you slip, report it immediately. If you are socialising and take one by accident, or feel tempted to smoke, call the clinic the next morning. Do not be fooled into thinking you can control it yourself, come back for help, it is free, so please make use of it. Your guarantee lasts for two years from your appointment, as long as you call this clinic within 24 hours of having a problem. (If you are out of the country call within 24 hours of your return.) It is vital that you do not delay in order to avoid the old habit pattern reforming. If it is out of hours please leave a message on the clinic voicemail. We will offer you a back-up session as soon as possible. The 2-year warranty is a genuine offer; it reflects our desire to help you to become a permanent non-smoker. If you go back to your old habit for longer than 24 hours and decide at a later date you wish to return to the clinic for back-up support, it will be charged at £75 a session for up to 2 years. After 2 years the full payment will be required again and a new 2-year warranty will be in place. Late cancellation of a back-up session is charged at £75 per session, and failure to attend negates your guarantee. Cannabis - Clients who are occasional users of cannabis have found that they can stop smoking both tobacco and cannabis using our method. However we are not trained to deal with drug addiction and therefore it is not covered by the warranty. Clients should be clean of Cannabis and any other narcotics for a minimum of 5 days before attending a stop smoking session. If for any reason you wish to cancel, your deposit will be refunded, less a £5 administration fee, as long as you speak to us at least 48 hours before your appointment time.